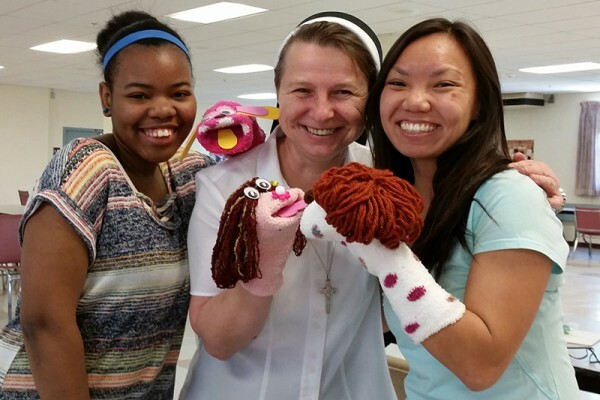 Sr. Geraldine (Gerri) Wodarczyk was interviewed for the Sister Story podcast “Be Inspired” about the Puppets, Pizza and Peru program she helped coordinate in Pittsburgh. The evening brought together young people and Catholic Sisters to share pizza and conversation as they made puppets for the Pittsburgh Diocesan mission in Chimbote, Peru. During National Vocation Awareness Week (November 4 – 10) we invite you to listen to this interview, recorded in March 2018, to learn about one of the creative ways sisters are reaching out to young people.